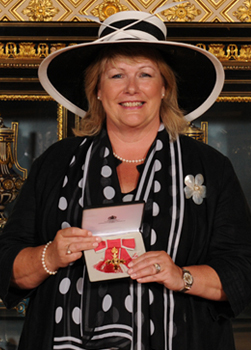 Deborah Leek-Bailey OBE-the founder and Director of DBL Leadership Associates LTD is renowned for her work on leadership development. A former Head teacher, Deborah took her Early years, Prep and Senior schools from satisfactory to “excellent in all areas of school life”, as defined by the schools inspectorate. Deborah is convinced that identifying talent, empowering people, accountability, high aspirations and collective vision, were key to the schools success and these qualities are often the mainstay of many outstanding businesses. “Celebrating success is also important-most people don’t mind working hard but they also like to feel appreciated. Having structured feedback on performance also ensures that staff understand the strategic objectives of the business and how they can contribute towards achieving them. It is amazing how many talented people get overlooked due to a lack of self-confidence and colleagues consequently failing to recognise what they can offer. It is wonderful when you see individuals and organisations energised and empowered because that is the moment at which you know almost anything is achievable. By providing strategic input, DLB Associates Ltd exists to ensure that individuals and teams achieve their full potential.